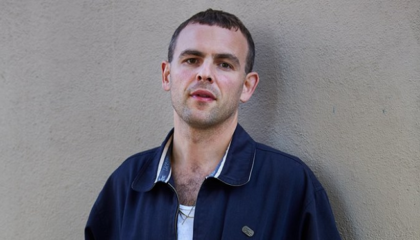 Critics are raving about “Freedom,” the latest release from the indie-rock band Amen Dunes, led by singer-songwriter Damon McMahon (pictured). The online magazine Pitchfork gives the album an impressive rating of 8.6 (out of 10), and GQ Magazine calls it the best album of 2018 (so far). I love “Freedom” as well and will have it in the album spotlight this Sunday on my Fine Tuning program. Also in the mix will be new music by Neko Case, Brazilian Girls and Ray LaMontagne, plus songs from brand new Rock and Roll Hall of Fame inductees Sister Rosetta Tharpe, Nina Simone and Dire Straits. Fine Tuning: 4 – 6 p.m. Sundays on ann arbor’s 107one.